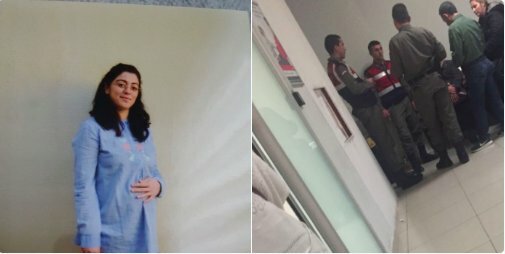 Ayşe Ateş, an accountant dismissed from her job due to the statutory decrees in Turkey, gave birth today. Despite the doctor’s advice, the prosecutor denied Ayşe Ateş’s mother to stay with her. Soldiers waited for Ayşe Ateş outside the delivery room entrance. After the delivery, Ayşe Ateş and her one-day-old baby were brought back to the prison. CHP Deputy and human rights activist lawyer Sezgin Tanrıkulu said, “History has not seen such unscrupulousness”.